For my non runDisney followers, I apologize in advance for the Disney takeover on my blog. This is the biggest week of the year for runDisney fans, the 2014 Walt Disney World Marathon Weekend and I will be running 48.6 miles over 4 days starting on Thursday morning! My blog will be returning to normal next week. 10am Wednesday will mark the official start for runDisney Marathon Weekend when the Disney Health and Fitness Expo opens its doors. I am coordinating my work schedule around this day as I want to avoid crowds and be sure to purchase official merchandise before it sells out. Wednesday, January 8, 10 a.m. - 8 p.m.
Thursday, January 9, 9 a.m. - 7 p.m.
Friday, January 10, 9 a.m. - 7 p.m.
Saturday, January 11, 10 a.m. - 4 p.m. 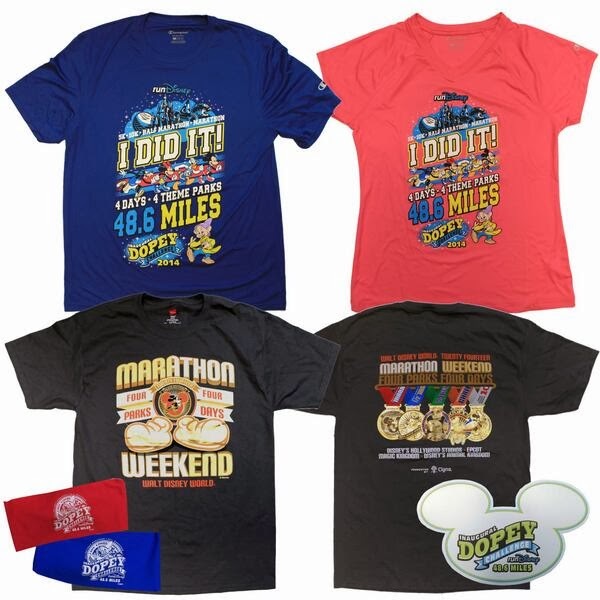 Here are some of the new runDisney items you can expect to find at the 2014 expo. I will update this post on Wednesday morning with items I find notable! 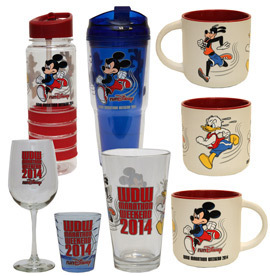 I am looking forward to adding a new runDisney wine glass to my ever growing collection. 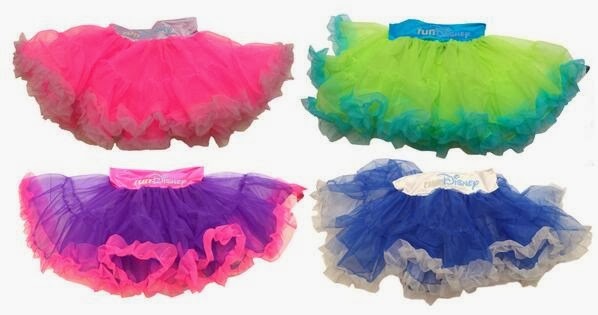 runDisney has launched a line of official running TuTus. This excites me greatly as I love running in TuTus! I may have to pick up one or three of these up. I am especially loving the Cinderella TuTu (although I already have a Cindy outfit). At this point, I am unsure on pricing of the TuTus but will report back ASAP. Champion has created a runDisney Marathon Bra featuring Minnie Mouse which will be available this week at the Expo. The sports bra has a vapor quick-dry adaptive technology which dries faster as body heat rises. It is made from a ultra smooth material, inside and out, which helps reduce friction, the cause of painful chafing. Inner hidden structure delivers smooth support while powermesh construction allows maximum ventilation in women’s top hot zones. I am looking forward to checking this sports bra out in person. Dooney & Burke does it again with the 2014 runDisney collection. This years design showcases Mickey Mouse, Goofy and Dumbo. This is a perfect way to commemorate this weekend. There are various statements written on the bag such as Run Around the World, Go Go Go and Finisher. Tote - $246.10 Wristlet - $90.95 Crossbody - $208.65. The bags are sure to sell out and you can purchase them ahead of time along with other runDisney commemorative items on active.com. Since the tech shirts we will receive for all of the events this week are long sleeve (with the exception of the 5K), I will want to get a shirt to brag about my accomplishments that I can wear all year long. These are items that will absolutely make their way back to my house and one of the main reasons I am getting up super early Wednesday to get to the Expo prior to it opening. I collect runDisney Wine Glasses and I have more Disney coffee mugs than my cabinets can handle (I have a coffee mug problem). I am also really liking the water bottles this year! 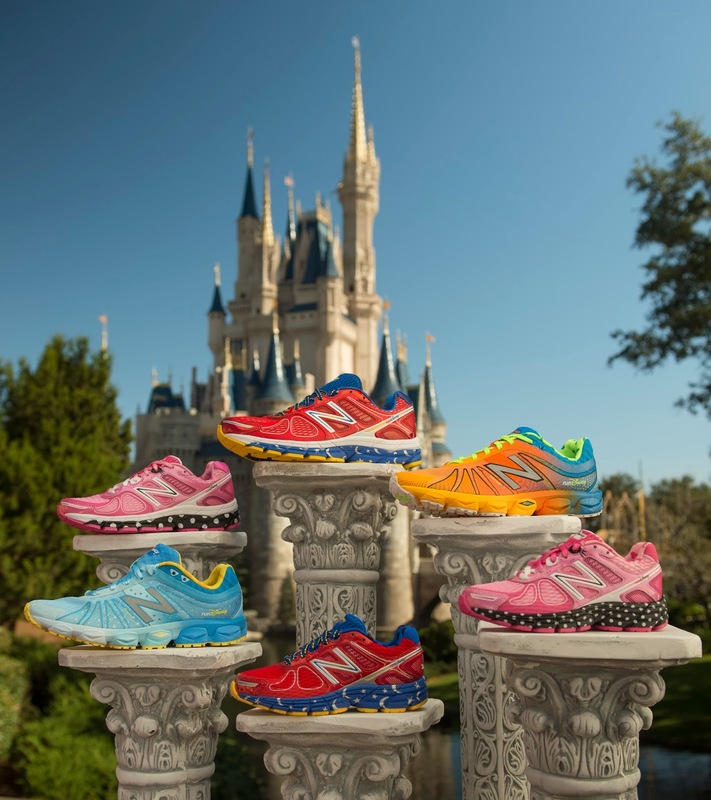 Last week, runDisney and New Balance revealed the 2014 New Balance runDisney shoes. 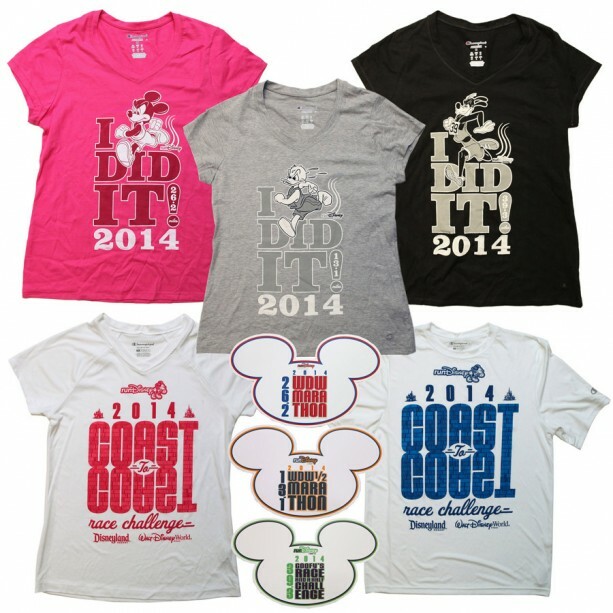 The 2014 runDisney 860 V4 features Sorcerer Mickey for the Men and Minnie Mouse for the women. New in 2014 is a rundisney 890 V4 with Goofy for the Men and Cinderella for the Women. Just like last year, these shoes will only be available during runDisney Expos. Love these colorful sneakers! Love the turquoise ones, those are the pair I'd be looking for at the race expo! Love the Minnie Mouse shoes and the TuTus!